BMS Retail executed the activity in all 18 Star Bazaar outlets. 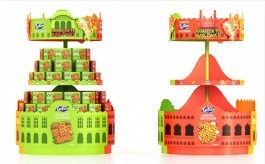 Right from the time of entry to the aisles to the exit, various branding elements were designed and executed. Timesaverz.com, which is in the business of getting curated home service ranging from cleaning tasks, appliance repairs, handyman jobs and running errands, recently entered into a partnership with Trent Hypermarket that runs one of the leading hyper market chains (Star Bazaar) in the country, to drive festival linked household service offerings. For connecting with the TG during the festive season when shoppers throng malls, Timesaverz endeavoured promote its services to make the customers lives as convenient as possible. Executed by BMS Retail, the in-store campaign communicated the brand's offering at the right place and at the right time. As part of the tie-up, with every purchase of home cleaning products, Star Bazaar customers were eligible for various services like home cleaning, laundry, painting and beauty services at a special price. The benefits of this unique integration was available for customers across all 18 Star Bazaar outlets in Mumbai, Pune and Bengaluru. Speaking of the association, Debadutta Upadhyaya, Co-Founder and CEO, Timesaverz.com commented, "Our association with Star Bazaar was driven by the opportunity to connect with customers when they are in the festive shopping mind-frame and encourage them to adopt our home service offerings which is much required during this time. And since we have a common TG - working men and women - the association, worked out well for us. 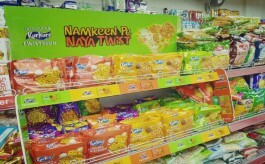 About 15% of our Diwali sales were driven from this channel through a mix of branding and on-ground promo-activation".